I always say Valentine's Day is my favorite holiday, because of the decorations. They're the cutest! And as with every other gift giving occasion, I think books are the perfect Valentine. 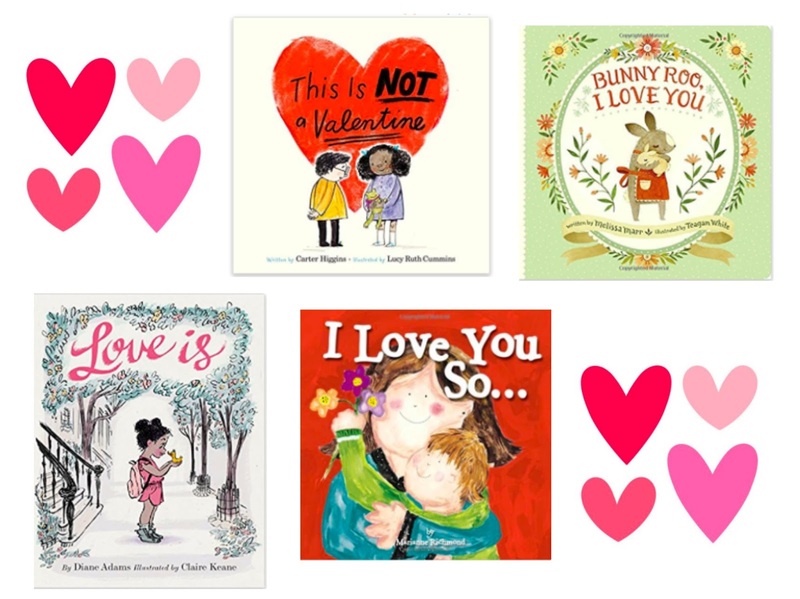 This book is mine and Ophelia's absolute favorite, this one is seriously so sweet, and of course my little friend would love a Valentine from her friend Daniel Tiger. Obviously, your little needs some adorable Valentine's Day duds! If someone had a Valentine's Day/February baby this would be a perfect take home outfit. These little slippers seriously kill me, Ophelia would flip over this adorable tutu, I can't wait to dress my little guy in cute little suspenders, and this heart tunic just went into my cart. click the pictures to shop some more picks!